Say hello to sunny weather, gorgeous beaches and pristine waters! Costa Rica is all about nature, it has lush tropical rainforests, active volcano and white sandy beaches. 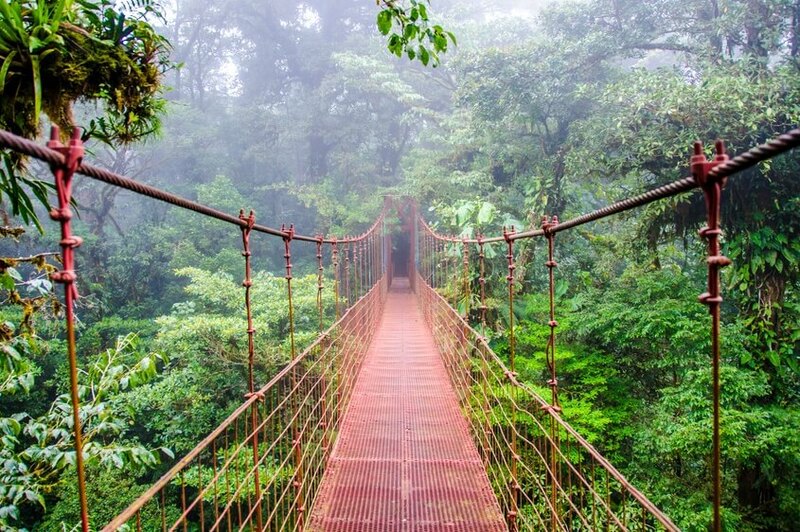 Visit Monteverde Cloud Forest, try sighting the sloth at the Manuel Antonio National Park and get your adrenaline rushing at an overnight white-water rafting adventure at the Pacuare river. Experience unadulterated wilderness at the Parque National Tortuguero, famous for its sea turtle nesting grounds. Take a sunset Catamaran cruise or indulge in water-based activities like snorkeling, scuba diving and waterfall rappelling. Costa Rica promises endless adventure, lazy days and unforgettable moments. Costa Rica is also a destination popular for its eco-tourism. You can feel good about visiting and not leaving a big footprint. Pura Vida is not just a cultural slogan here, it is actually a way of life. Portugal offers exciting activity based holidays as well as laid back leisure vacations. March is spring in Portugal and it is the perfect time to visit the beaches in Algarve and go for biking trips with your loved one across the Schist villages. There are castles hidden in mountain slopes and monuments straight out of fairy tales. Indulge in a gourmet tour with vineyard walks in Douro Valley and take cruise on the Douro river. 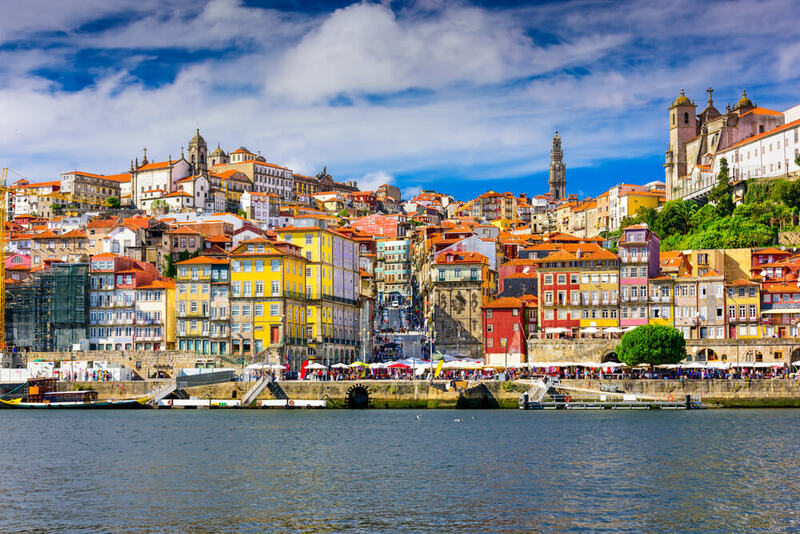 Food markets, exclusive wine cellars, endless Portuguese delicacies, spectacular city views, this is only a taster of what to expect in Portugal. The colourful Lisbon must not be missed. Hop on the Tram 28 for a unique view of the oldest quarters of the city, get lost in the narrow streets of Alfama and listen to the melancholic sounds of Fado in the evening. An Arabian dream, Jordan takes you back in time. 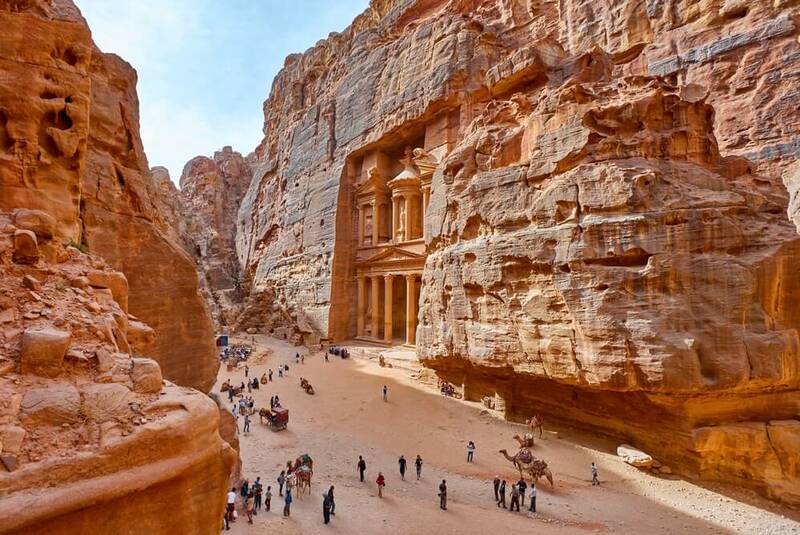 Refresh your Indiana Jones memory with a visit to Petra, the rose city known for its jaw-dropping architecture and archaeological sites. Explore Madaba which has the oldest map of the Middle East and the desert castles of Qasr Amra. Go to the endless sand dunes at the Wadi Rum with dramatic sandstone structures, where the famous film Lawrence of Arabia was shot. Float in the restorative waters of the Dead Sea, taking in a time-tested spa treatment some 2000 year in the making and visit the city of historic ruins, the Umm Qais city overlooking the sea of Galilee. History comes alive at the site where Jesus was baptised, as you walk through the Mantel Chapel, the marble steps and the St. John Baptist church. China’s capital city is a vibrant mix of history and modernity. 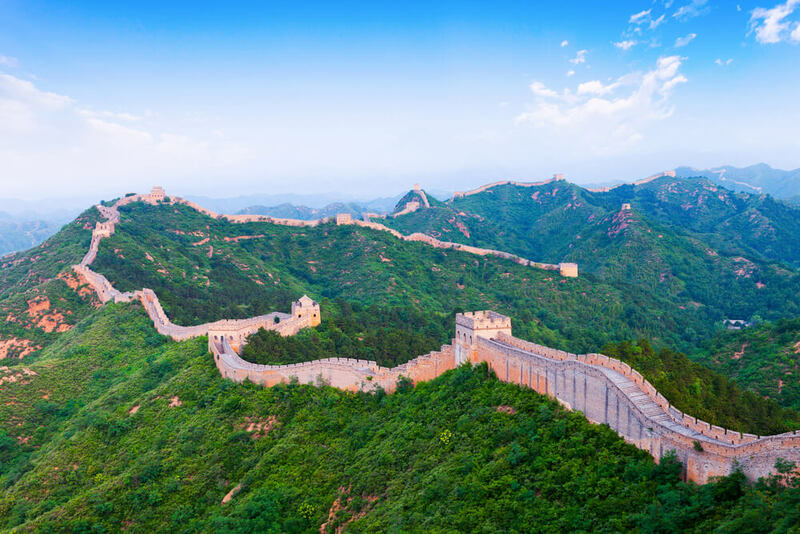 Visit the Great Wall of China, when the wild plum is in full bloom. Beijing has some great architectural wonders including the mystical Forbidden city where ancient buildings are preserved. It also hosts the largest palace complex in the world. Marvel at the magnificent frescos of the Lama temple. Have a drink on the roof top bar of Emperor hotel with stunning views of the Forbidden city or rent a rowboat and float around Beihai park. Stroll in the Hutong neighbourhood with narrow alleys and traditional houses that provide a peek into a Chinese household. Visit Panjiayuan, a giant flea market where every imaginable curio, artifact and fake Tang dynasty knock-off is on sale. Beijing champions cuisine from the country’s many provinces, so there is a lot here for the foodies too. 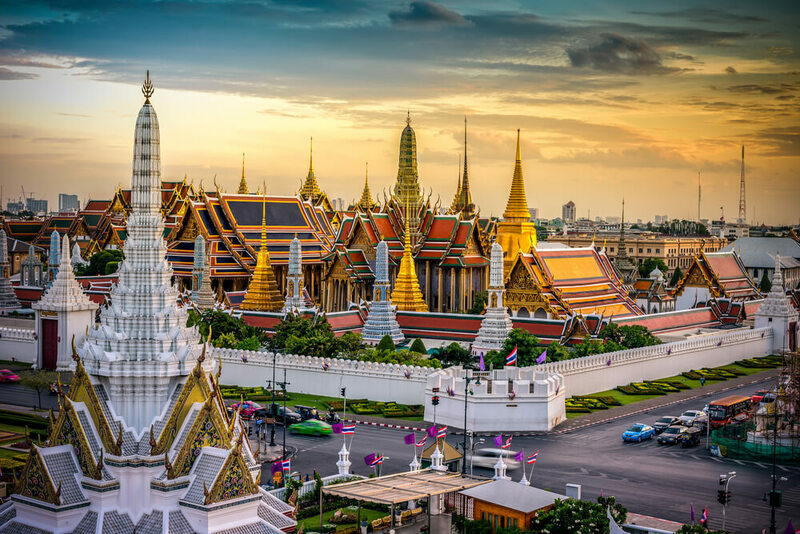 Notorious for its nightlife and famous for its dirt-cheap shopping, Bangkok offers a plethora of surprises for every traveller. Heritage lovers will love the Wat Arun temple, the temple of the reclining Buddha and the ornate Grand Palace. Witness the grandeur of Bangkok on a dinner cruise on the Chao Phraya river. For entertainment, there is the renowned Siam Niramit show which showcases the culture and art of Thailand with grand costumes and performances. Learn authentic Thai cooking at the Baipai Thai cooking class and experience the rural side of Thailand at the floating markets of Damnoen Saduak. Sip a cocktail at the rooftop bar, rejuvenate with a Thai massage, visit the Ayutthaya for its spectacular temples and ruins and do not forget to shop at the high-end malls as well as the Chatuchak weekend market in Bangkok.